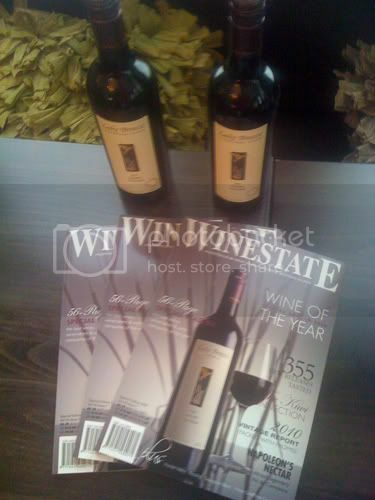 Each year, Adelaide based stalwart magazine Winestate compile a list of their top scoring wines from panel tastings during the year. They then put these top wines up against each other in a trophy-style wine taste-off, with the winners then lauded as the ‘Winestate Wines of the Year’. Now given the vagaries of the Winestate tastings themselves (which are notoriously variable to put it mildly) these winners can sometimes present as a rather odd collection of wines. But, rather than just judge on lists alone, this year I went and tasted a collection of the top scoring wines all in one place (just for consistency – you know what they say about assholes and opinions) and I’m happy to report that there was some genuinely fine vino amongst them. The following wines then were all high scorers in the Winestate Wines of the Year (which I can’t find online. Memo Winestate – your website is genuinely unhelpful and the search is broken). All were sampled in stand up style and not quite with the accuracy I would like, but hopefully you get the drift.